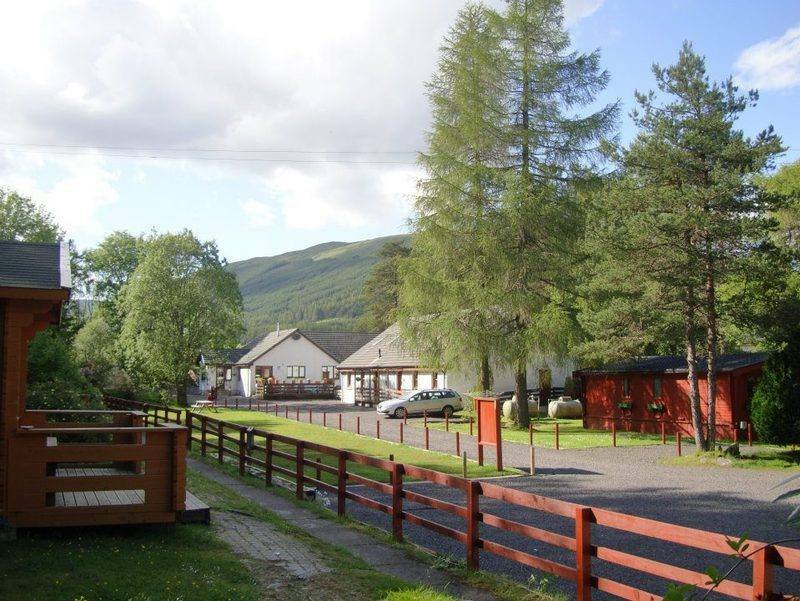 Situated within a few minute walk from the shores of Loch Lomond, part of the beautiful and magnificent, national Loch Lomond & Trossachs Park. Separate attractive area for 20 tents, with all usual facilities, including toilets, showers, laundry and dish washing area. Also beautiful campers cabins, which is between glamping and a pod. Sleeping four, with a radiator, table, stools, tea and coffee facilities. Great rates for the cabin - £50 for 2 person and £70 per night for 4. Pathways and buildings are illuminated at night. 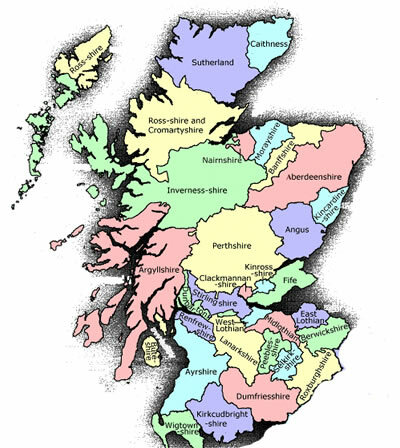 In the middle of the picturesque villages of Drymen and Balloch, which offers various pubs, restaurants and tea-shops, offering a range of meals to cater for all tastes and prices. 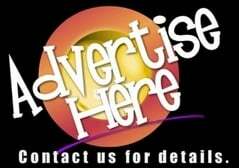 Touring Motorcycles and groups are welcome. Call first, to ensure a pitch. Sylvia & Phil welcome you. 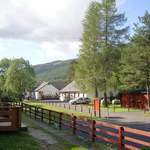 Also holiday chalets, trecker huts, camping cabins, a 4* hostel and the Hobbit Houses. 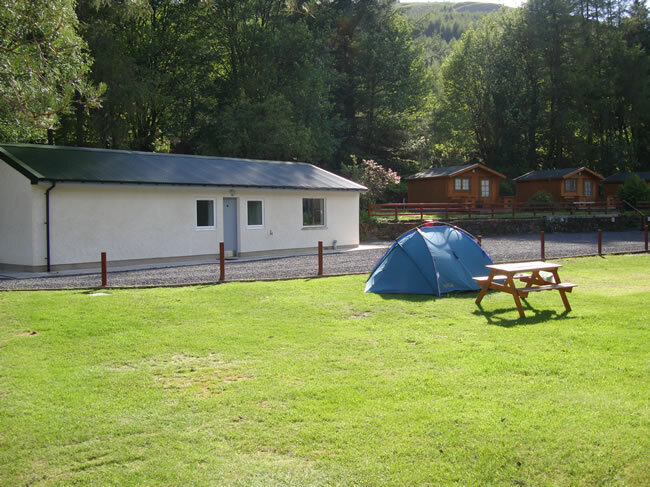 The huts and cabins are ideal for those who have had enough of sleeping under canvas or the purpose built hostel has 26 beds in 8 separate rooms, is ideal for groups. 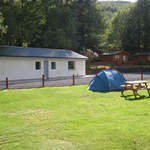 Biker Friendly Campsites, Camping, Kinlochleven, Argyll, Scotland, Classic Bike Camping, bikers welcome, Trossachs Holiday Park | Tyndrum By The Way the main A830 and the friendly and vibrant community of Fort William, in the centre of the West Highlands and set in the midst of some of the most stunningly beautiful scenery in the world... Climb Ben Nevis (4406') or take the Nevis Range mountain gondola, visit Eilean Donan Castle, discover the Caledonian Canal and Neptune's Staircase, enjoy a guided tour around the 174 year old Ben Nevis whisky distillery or ride the steam train to Mallaig, which is regarded as one of the Great Railway Journeys of the World and featured in the Harry Potter films. Idyllic setting of peace and relaxation.